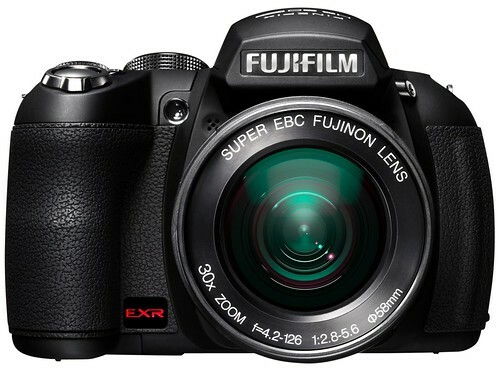 The FinePix HS20 EXR is also known as the Fujifilm FinePix HS22EXR in China. It has an tilting rear LCD preview screen. Download the Fujifilm HS20EXR Manual. Impress has a Japanese-language review article on the FinePix HS20EXR (read it in English), and there are full-sized, high-resolution test photos and a single H.264 / 1920 x 1080 / 1080p / 30fps HD video clip sample to help you evaluate whether this camera meets your image and footage quality requirements or not. There’s also a 360° panorama example taken in the Motion Panorama mode. Official Fujifilm HS20 EXR page at Fujifilm USA and Fujifilm Global. The latest firmware update version is v1.02 — visit DPReview for details.